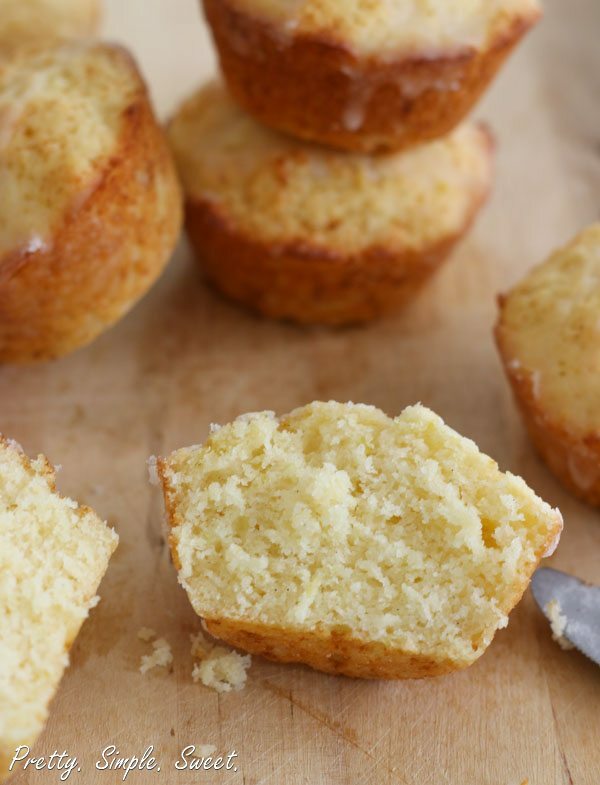 The Best Lemon Muffins | Pretty. Simple. Sweet. When life gives you lemons, make lemon muffins! These lemon muffins. They are light, fluffy, tangy, and taste amazing. They are also super easy to make! I just got back from a bachelorette party of a dear friend of mine. We spent most of the day hanging out at the pool, talking girl talk, and drinking Lambrusco in style. Yep, the good life! We stayed in a beautiful villa surrounded by citrus trees full of fruit. The owner of the property said we could pick as much as we like, so now I have 20 lemons. I used one lemon for these muffins and now I need to figure out what to do with the rest. Maybe this amazing cake. Or these cookies. I couldn’t stop eating these muffins. They are fluffy and moist and have a cakey texture. Their lemony flavor is amazing. They also have just the right amount of sweetness. They are wonderful for breakfast and are a great way to start the day. Remember the Bakery-Style Muffin Recipe I shared with you? I wrote about the difference between a bread-like muffin and a cakey muffin. This one is less bread-like and more cakey because I like my fruit muffins cakey. To achieve this, I use more eggs, fat, and yogurt, which makes the muffins light, tangy and moist. You can use sour cream instead of the yogurt. You don’t need a mixer to make these muffins. 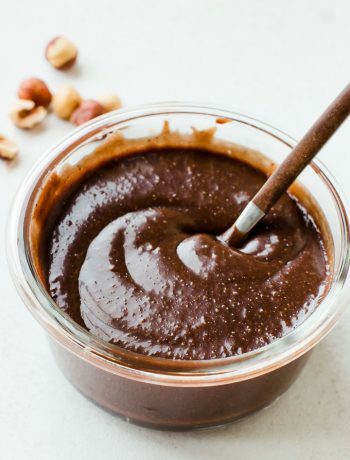 They are made by using the muffin method, which means mixing the dry ingredients in one bowl, the liquids in another bowl and then combine the two together. Doesn’t get any easier than that! To make them even prettier and yummier I made an easy sticky lemon glaze. 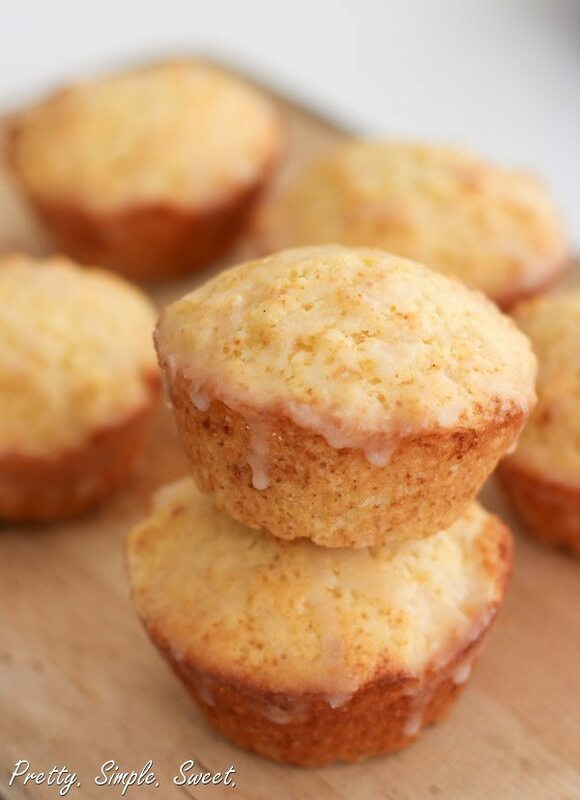 Mix powdered sugar and a bit lemon juice together, then drizzle the glaze on top of the muffins and it will give them a nice lemony-sugary crust. I recommend adding it, but it’s optional. Preheat oven to 220C/425F degrees. Butter 12 muffin cups or line them with liner papers. In a large bowl sift together flour, baking powder, baking soda and salt and mix in the sugar and lemon zest. In a medium bowl, whisk the eggs with the yogurt, melted butter, lemon juice and vanilla extract just until combined. Pour the wet ingredients into the dry ingredients and stir with a wooden spoon or a rubber spatula just until combined. Do not over mix. The batter should be thick and lumpy. Divide the batter evenly between the muffin cups (almost all the way to the top). Bake for 3 minutes and then reduce the oven temperature to 180C/350F and continue to bake for an additional 12-17 minutes until a toothpick inserted into the center of the muffin comes out clean. Cool for 10 minutes and then move to a wire rack to cool completely. In a small bowl sift the powdered sugar. Add lemon juice until you achieve desired consistency (pourable consistency). When the muffins are cooled, pour the drizzle over the muffins. Muffins are best the same day they are made, but can be stored in an airtight container in the fridge for up to 3 days, or they can be frozen for up to 2 months. Thank you so much for sharing Laura! I’m so glad you liked it 🙂 This is one of my favorites! I made these today, so simple and tasty. I substituted the lemon for orange and lime very tasty. Thanks! So I just made these and they are amazing!!! I’m having a year out and I’m pretty sure it’s going to mainly consist of me making everything on your blog!!! Thank you so so much for sharing your brilliant and wonderful recipes! Simply delicious, yummmmmm and the drizzle is really soooo goodddd!!! My first bite is ‘sour’ but very different from other muffins which overly sweet. My family loves it very much. Thanks for sharing the recipe. I love tangy lemon taste. Will try the orange the next time. Thank you so much Helen! My family also loves it very much 🙂 They don’t like overly sweet desserts! Just made these for my roommate and her boyfriend and we all loved them! I think I should have squeezed a little more juice out of my lemon for a stronger lemon flavor, but otherwise they were super moist and really tasty! did you use plain yogurt, would vanilla work?? I usually use plain yogurt but vanilla would work, too! Wow! 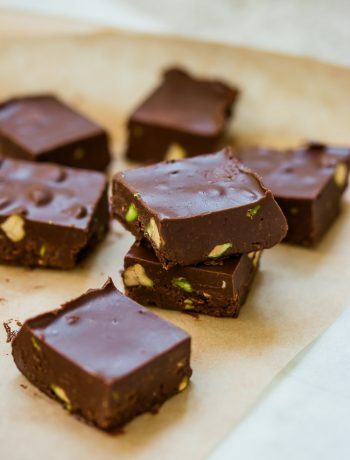 Just made these and they’re truly divine! Substituted all the lactose ingredients with lactose-free alternatives and they turned out amazing! Have already made the ultimate chocolate cupcakes twice! So glad I landed on your website! Such a gem! Thank you!!! Thank you so much, Tamsin! I hope you’ll continue to enjoy my recipes! These sound delicious! Is there anything we can use instead of yogurt? My daughter has been begging for muffins but we are out of yogurt. You can use sour cream if you have it. Just baked these, have not baked in 30 years and they turned out fabulous. You now have me back into baking. Thank you. I just made these as an extra-special breakfast for my children (3, 6, and 7 years old) my husband and me. I made it exactly as written, except that I used half whole multi-grain flour and half all-purpose flour. They were incredible! There is not one thing I would change about the recipe. They were sweet enough to be a treat, but not overly sweet. I made them in mini-muffin tins, and ended up with 38 minis. This is definitely a recipe worth saving and sharing! Thank you! This was a really great recipe. 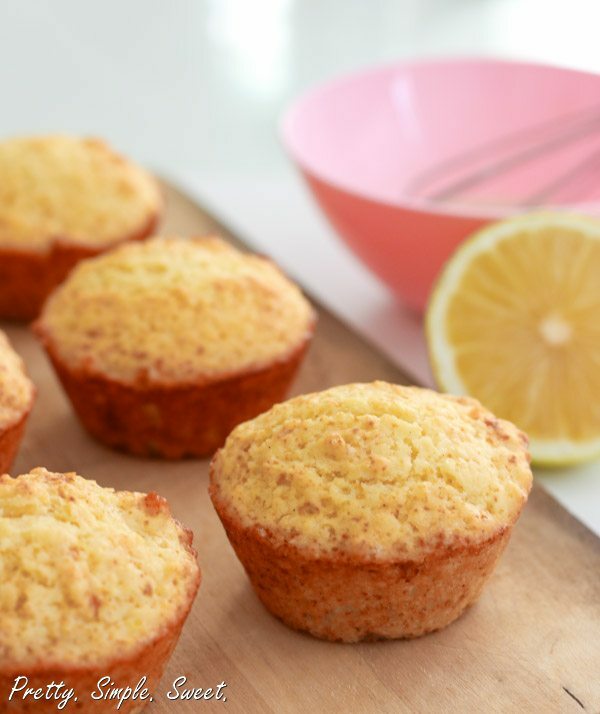 I really like to taste the lemon in a lemon cake/muffin, and with these, you can! Shiran, do you think you could use cake flour in place of AP flour? Thanks! I’m glad you like them! You can use cake flour, the muffins will be more delicate. The flavour reminds me of that of lemon meringue pie….so good! I’m checking out your other recipes today. I just made these muffins today. I substituted apple sauce for the yogurt and they came out wonderful! Thank you so much for such a delightful recipe! Incredibly moist and delicious. A hit all the way around. This is now my go-to muffin recipe. I have made these muffins a few times i love the simple and easy recipe , and they take no time at all to make, they don’t last long in our house and there is only my husband and me !! !